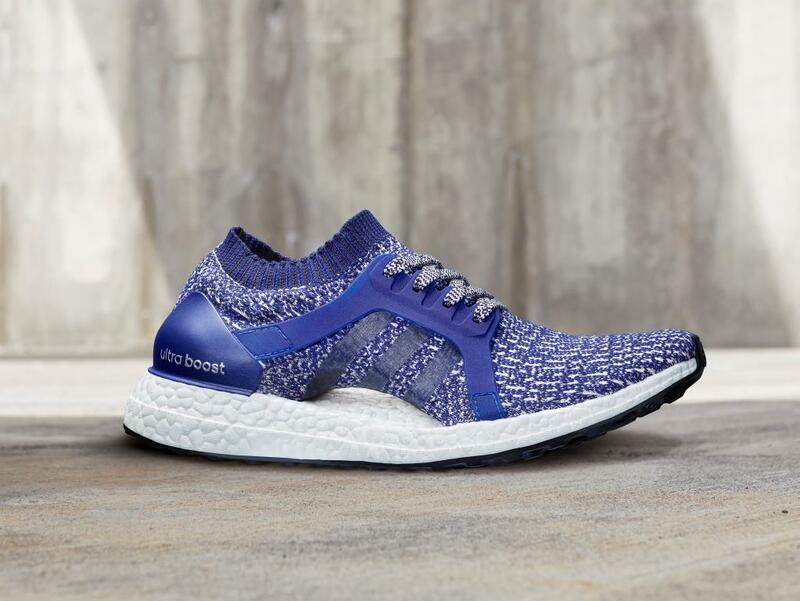 adidas Running today added an eye-catching mystery blue colorway to its UltraBOOST X collection for FW17, giving female runners a fresh new way to stand out on the streets. Launched earlier this year, UltraBOOST X is adidas’ pinnacle performance shoe, tailored to the unique shape of the female foot and designed to make women greater every run. The unique design of UltraBOOST X reflects the female foot’s natural running silhouette for an enhanced performance with every step. The shoe’s distinctive Dynamic Arch works alongside a sculpted midfoot and Primeknit upper to adapt effortlessly to the changing shape of the female foot, delivering superior comfort and support. To develop the shoe, adidas Innovation Technologies used the ARAMIS system, a motion-tracking technology that offers a highly detailed analysis into the movement of the foot. The shoe was built around the female foot, with focus on exact points that require most support and where the foot needs room for natural expansion. Dynamic Arch– designed to contour the arch of the female foot and adapt effortlessly to the changing shape as she runs. Primeknit upper– that wraps underneath the arch of the foot for additional support, with the pattern in the toe area more open to ensure increased breathability. 100% full-length Boost midsole– crafted for ultra-responsive comfort and cushioning that stores and returns energy with every stride. Continental Rubber 4-way stretch web outsole– created for a female gait, providing good traction for urban running, in any condition. adidas #UltraBOOSTX is $180 and available at adidas.com from June 22nd and in retail stores from June 29th. Follow the conversation at @adidasrunning on Instagram, Twitter and Facebook.